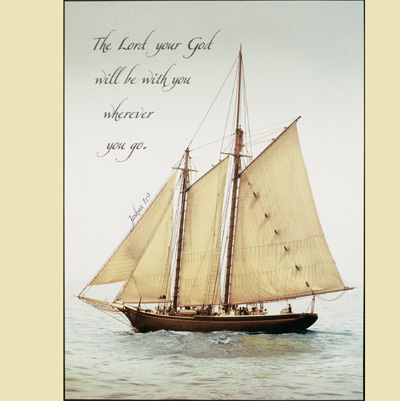 From a Frederick J. LeBlanc photo... Our mystic journey print also eludes a natural feel that couples the aloneness of the ocean and the majestic grace of sailing. 'The Lord your God will be with you wherever you go. Joshua 1:9'.